The Academy of Our Lady of Mercy is the first Catholic college preparatory high school for girls in Connecticut, and among the first established in the United States. Our mission and our philosophy are as unique as our founding, well over a century ago. A Lauralton Hall education empowers a young woman to excel in any endeavor, to find her own voice, and to be a bearer of Mercy to those in need. We offer students not only a holistic academic experience that develops the skills necessary for success in college and career, but also a supportive, caring and fun-filled environment that nurtures a young woman’s understanding of herself and others. Our dedicated faculty and staff are wise role models who help each of our girls become the person that God created her to be—spiritually, intellectually, socially, emotionally, and physically. In a quiet, nondescript, and once poverty-stricken area named Lower Baggot Street in Dublin, Ireland, a socially sophisticated and financially secure woman named Catherine McAuley dedicated her life to the amelioration of the poor, especially women and children. Here, she began to make her mark on the future lives of generations of women who would find themselves growing and blossoming under her tutelage. With a fortune at her disposal and a group of gentrified women volunteers at her side, Catherine McAuley built and opened a settlement house for women and children on Baggot Street in 1828. She wrote, quite succinctly, that “No work of charity can be more productive of good to society or more conclusive to the happiness of the poor than the careful instruction of women…wherever a God-fearing woman presides, peace and good order are generally to be found.” And her promise has long been fulfilled here at Lauralton Hall. 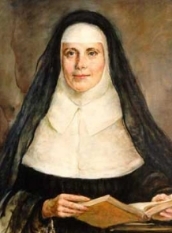 Only a decade later, the Vatican recognized Mother McAuley as the foundress of the Order of the Sisters of Mercy (RSM), an Order that would continue shepherding theories of women’s potential and serve as virtual catalysts of a gender revolution in female education. This unique Order, affectionately termed “the Mercies,” began as a group of “walking nuns,” formidably trodding the mean alleys of the socially alienated of Ireland. Their radical espousal of women’s potential was—and remains—selfless, visionary, and indefatigable! In 1843, scarcely two years after Mother McAuley’s death, her belief in Mercy Rule sailed with the Order from Ireland to respond to the need of a newly consecrated bishop in Pittsburg, Pennsylvania—the Most Reverend Michael O’Connor. From here, the seeds of Mercy were quickly sewn into other New England communities--Providence, Hartford, and New Haven. 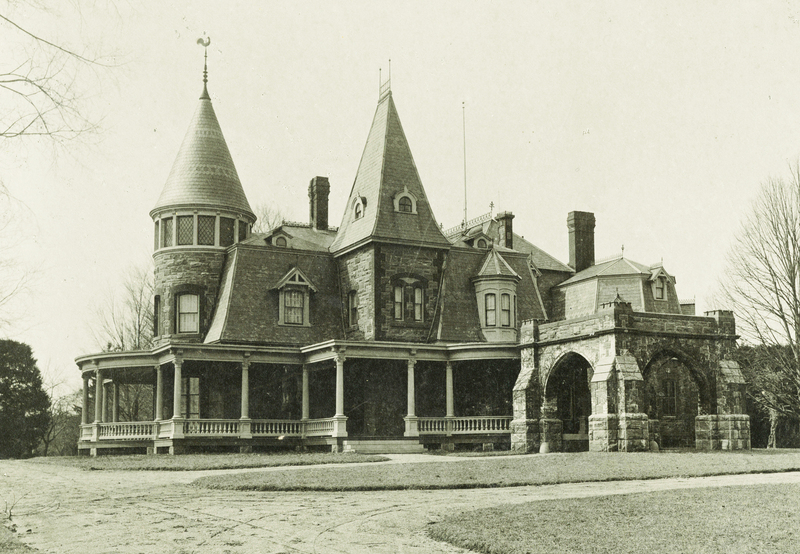 In 1905, under the energetic direction of Mother Mary Augustine Claven, a beautiful Victorian Gothic mansion on a 40-acre Milford, Connecticut property was purchased and the boarding and day programs of a girls’ Catholic academy at Lauralton Hall were begun. The first class at Lauralton Hall numbered 25; in 1906, the first graduating class consisted of four young women. Today, there are 477 girls from 40 Connecticut towns enrolled in the school as day students, grades nine through twelve. Now, having celebrated a full century of educating young women in the Mercy tradition of Catherine McAuley, the school is an independent institution overseen by a Board of Trustees, and the administration and faculty of Lauralton Hall are rededicating themselves to the promise they make for future generations—empowering women for life!